BIAS Amp integrates seamlessly with Positive Grid’s BIAS FX and JamUp guitar multi-effects apps for iPad, expanding BIAS Amp into a powerful and completely unified professional guitar system for live use, recording, and jamming. 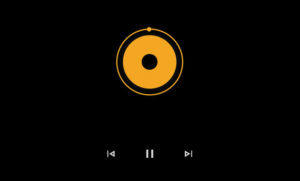 Simply tap the JamUp icon on BIAS Amp’s upper bar to open your current BIAS Amp setup directly in either JamUp or JamUp Pro. JamUp adds 1 amp and 6 effects to your BIAS Amp rigs; JamUp Pro adds 6 amps and 16 stomp-box and premium rack effects – including distortion, compression, tape delay, tremolo, and spring reverb. Both JamUp and JamUp Pro include Jam player, 8-track recorder and phrase sampler, tuner, and metronome, effectively turning BIAS Amp into a recording studio and top-of-the-line practice utility. • Fully customizable preamps, tone stacks, power amps, transformers, cabinets, and mic selection and placement – mix and match! My quick and dirty demo review of GoBeats by Positive Grid. 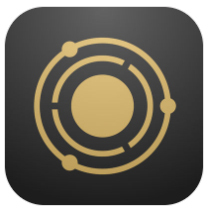 GoBeats is the world’s first free artificial intelligence drum app for iOS. I put this new app to the test today. GoBeats by Positive grid. Says it’s the world’s first artificial intelligence drum app. What this app does is listens to your playing and then tries to come up with a drum accompaniment. I got several different results from it. I played the same riff several times and most of the time I got decent results. The one in this video was my favorite. There were a couple tries where the groove didn’t have the right about of swing and feel to it and there were a couple tried where the tempo was off. Overall this is a decent drum companion. I like how it plays fills and adds dynamics by switching up to a ride cymbal. Is it really artificial intelligence? Well that might be a stretch. It does listen to the riff and seems to pick up on it pretty quick. Would like different kits to choose from. It doesn’t have a save or freeze option so if you get a groove you like and hit learn by accident that groove will be lost. Would be nice if we could export the groove as a midi. A count off or pre-count would be cool before the groove starts playing. 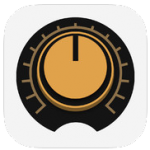 BIAS FX turns your iPad into a world-class, guitar amp-and-effects processor. It gives you an endless collection of insanely great-sounding guitar pedalboards, ultra-high definition stereo rack effects, dual amps and dual signal chain. You can share and download users and artists signature guitar pedalboards from the cloud. Positive Grid’s approach engineering BIAS FX with a no-compromise mindset, from a detailed touch in distortion emulation to the double precision algorithm in chorus, we strive for the best possible sound quality. A huge collection of newly developed, high-definition pedal and rack effects are included: gate, boosters, overdrive, distortion, fuzz, equalizers, tremolo, phaser, flanger, chorus, octaver, compressors, delays, spring and plate reverbs—everything a guitar player needs for massive tone, with all the flavor of both modern and vintage stomp boxes. Throw all that together – it is pedalboard heaven, but without the hassle of hauling around dozens of stomps in a heavy metal box and fumbling with a snakepit of cables. Show up at the studio or gig, boot up and play! BIAS FX is the most powerful processor ever designed by Positive Grid, yet its simple drag-and-drop interface makes it extremely easy to use. Dual amps provide the resonance and vibrancy of playing through two real amps set up together in wide stereo. When integrated with BIAS AMP (separate app), you can select a different preamp, power amp, cab, mic and eq for each of the two amps. Patch everything together, including all pedals and rack effects, in any order you wish in dual signal paths running in parallel. There are already hundreds of pedalboard configurations available on ToneCloud for you to own, and the banquet keeps getting bigger and bigger: Positive Grid are currently working with professional artists, producers, and engineers from all over the world to create a massive, ever-growing library of extraordinary virtual pedalboards and rigs for BIAS FX. Browsing and downloading from that library is a snap: All the effects and amps in each setup can be seen at a glance, because they’re stored as Pedalboard-like snapshots. Simply scroll through the online images to select the presets of interest, then tap or click to download. 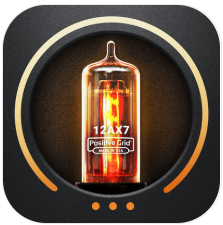 BIAS FX integrates a brand new inter-app audio routing engine, you can easily insert any Inter-App-Audio compatible audio apps in BIAS FX’s dual signal paths, just like connecting audio effects app with virtual cables. 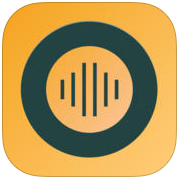 BIAS FX makes it easy to go nuts with your audio apps. 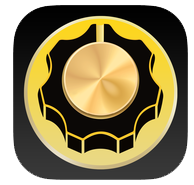 Final Touch is a complete mastering system for iPad. Combining Maximizer, Pre and Post Equalizer, 4-Band Dynamics, Stereo Imager, Reverb and Dithering into one integrated app, it gives your mixes a huge, balanced, polished and professional sound. Building on Positive Grid’s expertise in DSP research and skillful integration of iOS vDSP double-precision architecture, Final Touch is a dedicated mastering system with high data integrity and high-resolution processing capability. The result is a set of creative and professional tools that deliver masters that sound not just louder but clearer, wider, fuller, and more powerful and detailed. All the modules, with the exception of the Stereo Imager and Maximizer, can have their left, right, mid or side channel soloed or bypassed, and either mode’s two channels can be linked. Four high-resolution faders for left- and right-channel inputs and outputs are accompanied by multi-colored ladder meters, fader and level readouts, and clip indicators. The faders can be linked, maintaining any offsets you created beforehand. Global and module-based presets, transport controls, a waveform overview, Undo and Redo functions, and Import and Export facilities complete the mix.